Weathered – Forever Young | What's (in) the Picture? This week theme is ‘weathered’. 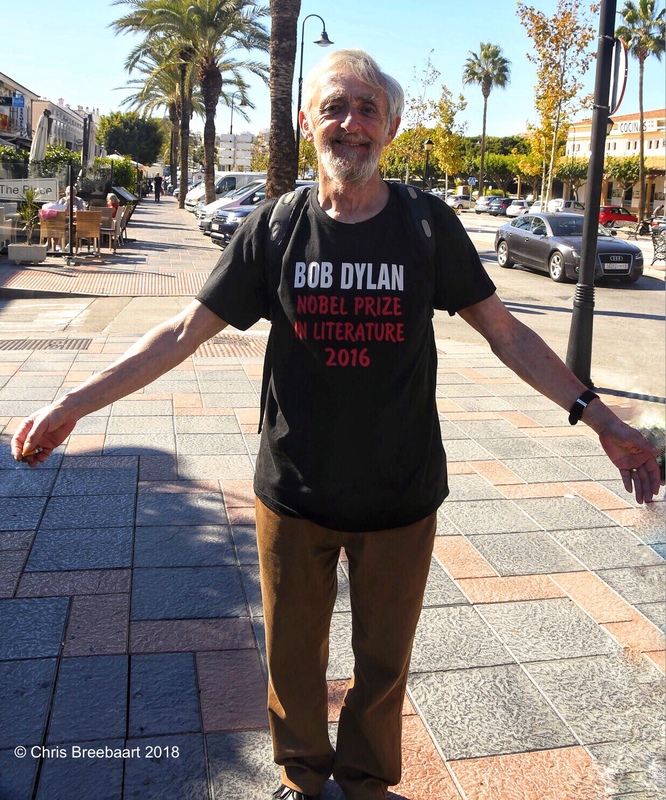 This man is forever young in his passion and admiration for Bob Dylan. Just a street portrait. Weathering the Daily Struggle – Pain(t)h.D. Weekly Photo Challenge: Weathered – These aren’t gray hairs, these are highlights! Weathered across the Ages – Dutch goes the Photo! Weathered – Sign – What’s (in) the picture? He looks great himself too! He was a very willing model and fun to meet! I like this photo very much, and recently saw an exhibit in Nashville, TN at the Country Music Hall of Fame on Bob Dylan, yes–and the influence he had on rock, pop, and folk with country music icon Johnny Cash–a great story!